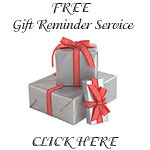 * We are proud to offer FREE gift delivery to major cities in Canada . If however, the gift is being delivered to a rural area, where Fedex has a high delivery cost, there is an additional cost. Please view the province links below. * For deliveries, please make sure all contact information is correct. If the recipient is not available for delivery, FedEx will leave the gift basket, candy bouquet or diaper cake at their front door. **Please note that it is the client's responsibility to make sure that the recipient can accept the delivery. KaiVal Gift Baskets does not take responsibility for missing gifts if the gift basket, diaper cake, candy bouquet, gift bag or gift box was delivered and left at the address provided by the client.. for example if the recipient is away on vacation**. * Transit times (delivery times) are estimates; FedEx ground transit times are used as guidelines only and are NOT GUARANTEED. For guaranteed transit times, we suggest you use FedEx Express. Contact us for these rates. * The day your gift is shipped does not count as a transit day. * During busy holiday times, please allow an extra few days for processing and delivery of your gifts, due to increase of volume of orders. We advise you to order early, and let us know a specific delivery date. * All orders will be processed next day if received by 4:00pm (EST), unless requested otherwise. * Orders placed after 4:00pm (EST) will be processed within 2 business days, unless requested otherwise. * Orders placed on the weekend will be processed the next business day, unless requested otherwise. * Due to our vast amount or orders, there are no same day deliveries. * Here at KaiVal Gift Baskets, we use FedEx Ground for our shipment needs. If you wish to use another courrier, or a different mode of transit (either express or air), just let us know and we will get you a price estimate. **Please note that our prices on the website do not include taxes. These costs will be added to the price of the basket(s) during the checkout process. *For shipping within Quebec, the taxes are 5% (GST) + 9.5% (PST). * We are not able to ship to PO boxes. * As of this time, we only ship throughout Canada. * Shipping prices are higher for remote areas, certain postal codes incur additional rural surcharges. 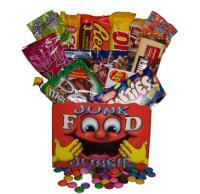 If a gift basket or candy bouquet is being shipped to a high cost (rural) area, the FREE shipping will not be available. * For residential deliveries, FedEx will leave the package behind at a safe place without obtaining a signature, or may leave your gift basket package with a neighbor if they agree to sign for it. * FedEx ground will make 2 attempts to complete a delivery for no additional charge. A notice that delivery has been attempted will be left at the recipient's address after the first and second attempts. After the second attempt, the package will be returned to KaiVal Gift Baskets. * If the package has been returned to us and you wish to have it shipped again, you will be charged $10.00 for the shipping costs. * We cannot guarantee delivery due to unforeseen weather conditions or incorrect address information. * For all deliveries, we need the proper contact and recipient information, including addresses and phone numbers. * FedEx charges a $6 address correction fee for any errors in the address provided, which will be added to your bill or credit card, so please double check your information for any mistakes.